The Drupal Association board approved a new initiative to help get Drupal 8 done. It's called the D8 Accelerate fund. We also agreed to personally help do fundraising to support the program. 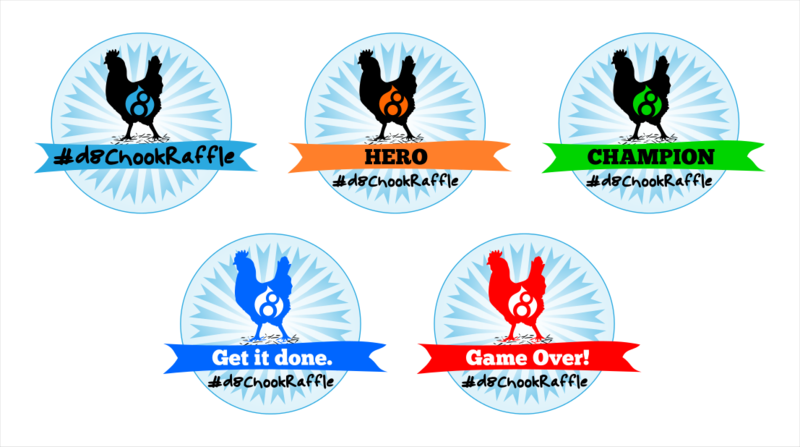 So I'm running a chook raffle. For those of you who don't know what that is, Wikipedia gives a decent introduction. The Drupal Association is working with the Drupal 8 branch maintainers to provide Drupal 8 Acceleration Grants. The goal is to fund work that will positively impact the release date. Drupal 8 has had over 2,400 contributors to date, which is more than any release so far. We hope that this initiative will encourage even more people to join the effort to get D8 done.